To advocate for the right of all premature infants to be cared for in a developmentally supportive manner. To ensure that the premature infant Bill of Rights is the standard of care for all babies born prematurely, 24 hours per day, 365 days per year, on all shifts, in every Neonatal Intensive Care Unit throughout the world. Lisa Bader is an occupational therapist who has worked at the same hospital (CHI Health CUMC-Bergan Mercy Medical Center) in Omaha, Nebraska her entire 22-year career. She was “forced” into the NICU by her boss with little training but great interest 20 years ago. She now works part time and covers the NICU along with other trained therapists. Lisa is passionate about therapy services in the NICU and the developmental outcomes of premature infants. She speaks at local and national conferences, lectures at colleges, writes journal articles, and consults for developing NICU programs. 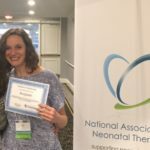 She wrote a Training Module for NICU Therapists in 2008 and The Ladder Approach in 2012 (revised 2017) to help educate therapists working in NICU’s. 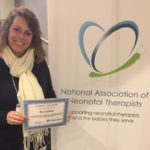 She has a website, www.OTPTintheNICU.com, to share articles, handouts, and other information regarding her work in the NICU. She invented The Shape Right System for positioning and head shaping in the NICU. Her website is www.shaperight.net. She happily answers any email questions regarding therapy and developmental care in the NICU and spends much of her time doing so. Lisa is married with two teenage boys and is a “lake and fun” enthusiast. 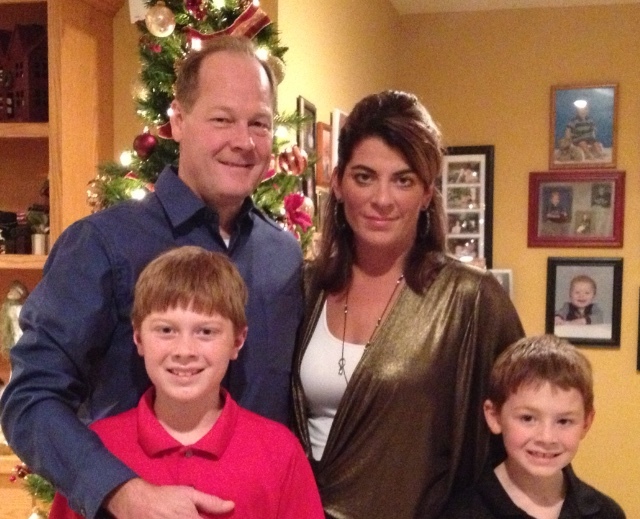 She also enjoys Pilates, coaching soccer, her boys’ sporting events, and family. 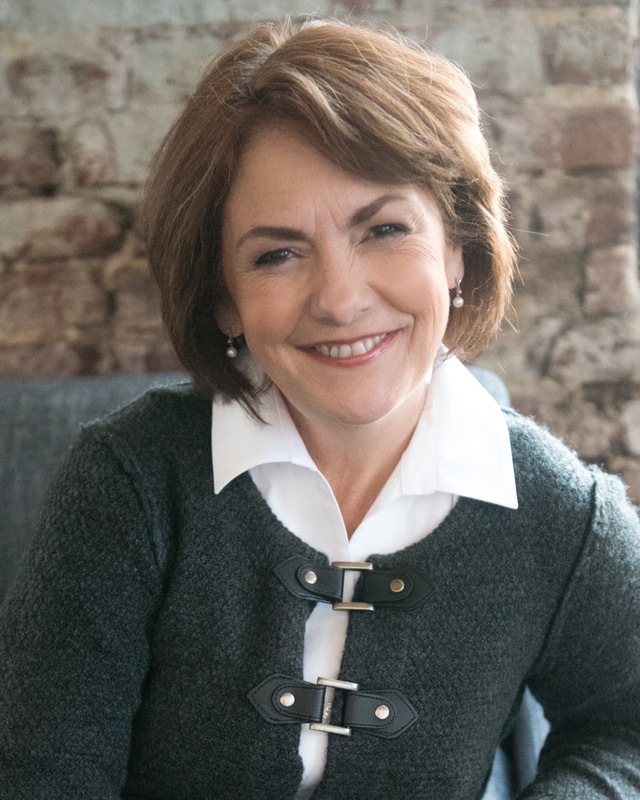 Mary has authored or co-authored numerous papers, is a recognized speaker and expert on developmentally supportive care, and she is the President & Global Education Officer (GEO) of Caring Essentials Collaborative. Mary Coughlin started her nursing career over 25 years ago in the US Air Force Nurse Corps caring for adults. As her military career diversified, she discovered the field of neonatal nursing, which has become her passion for the past 20+ years—and counting. Within the field of neonatal nursing, a care philosophy exists that acknowledges the human frailties, vulnerabilities, and needs of this fragile population. This philosophy of care is called developmental care. 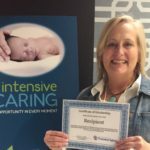 Over the past six years, Mary has had the privilege to collaborate with internationally recognized clinical experts and made significant contributions to the ever-expanding body of knowledge relative to developmentally supportive care in the neonatal intensive care unit. She has authored or co-authored numerous papers, is a recognized speaker and expert on developmentally supportive care, and is the President and Global Education Officer (GEO) of Caring Essentials Collaborative. 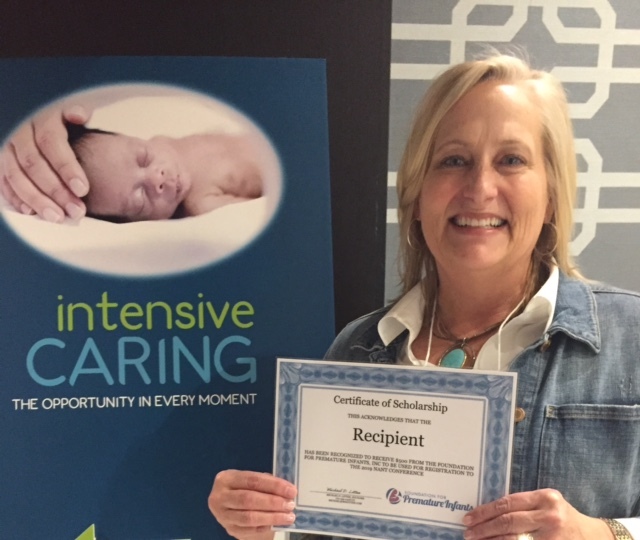 She came to the realization that core caring actions, attitudes, and behaviors (the basic tenets of developmental care) transcend the Neonatal Intensive Care Unit. This realization prompted the creation of Caring Essentials Collaborative as an opportunity and a vehicle to disseminate information and engage healthcare professionals to implement and evaluate the profound impact of evidence-based caring actions, attitudes, and behaviors on the hospitalized individual, the family, and healthcare providers globally. 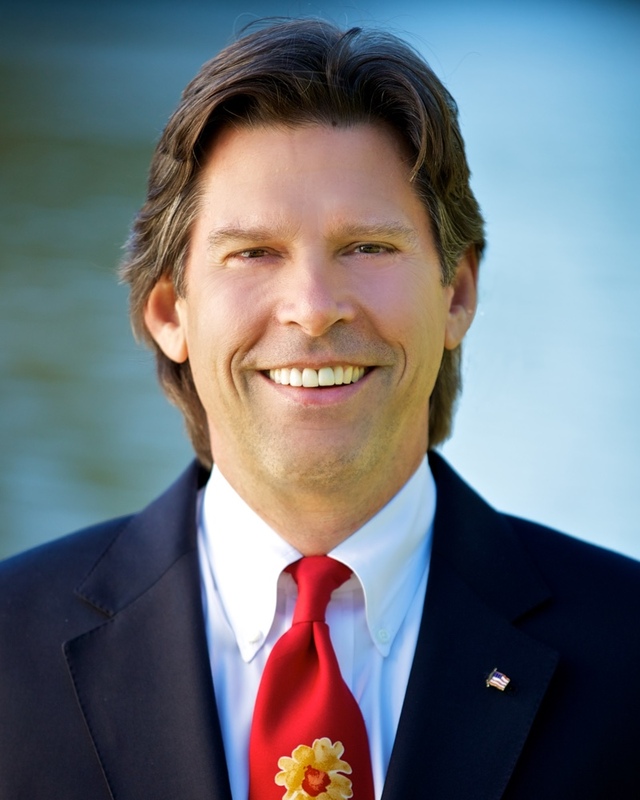 Michael David Litten started his career in healthcare 41 years ago. He has been blessed to represent products and companies that make a difference in people’s lives. 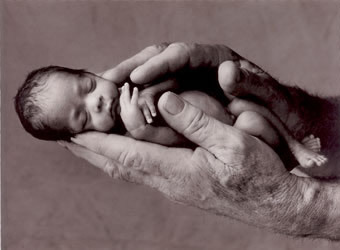 Michael’s passion for premature infants was the genesis of the Foundation for Premature Infants. Michael David Litten started his career in healthcare 41 years ago. He has been blessed to represent products and companies that make a difference in people’s lives, including Children’s Medical Ventures (ChMV), now Philips Healthcare. Since 1991, Children’s Medical Ventures has been committed to improving the developmental outcomes of hospitalized infants worldwide by offering solutions to help clinicians help every baby reach his or her full developmental potential. 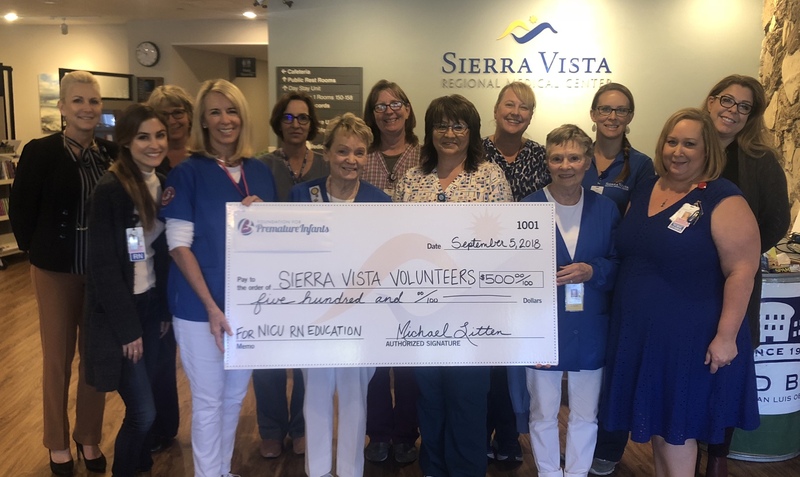 When ChMV was founded back in 1991, developmental care was in its infancy, “miracle babies” weighted 1,000 grams, the Neonatal Intensive Care Unit (NICU) was bright and noisy, and babies were routinely cared for by being placed flat on their back. Over the years, amazing changes in the care offered to premature and hospitalized infants has taken place. Developmental care practices are becoming more widely recognized throughout the world as an essential part of infant care. Babies are surviving at lower weights, and the NICU is becoming an increasingly more nurturing environment for babies and their families. Unfortunately, for far too many of the more than 500,000 premature infants born in the United States, care has not changed much since 1991. Michael’s passion for these most fragile vulnerable human beings was the genesis of the Foundation for Premature Infants, Inc. 501 (c) (3). His vision is for the Foundation to be the voice for those without a voice, premature infants. 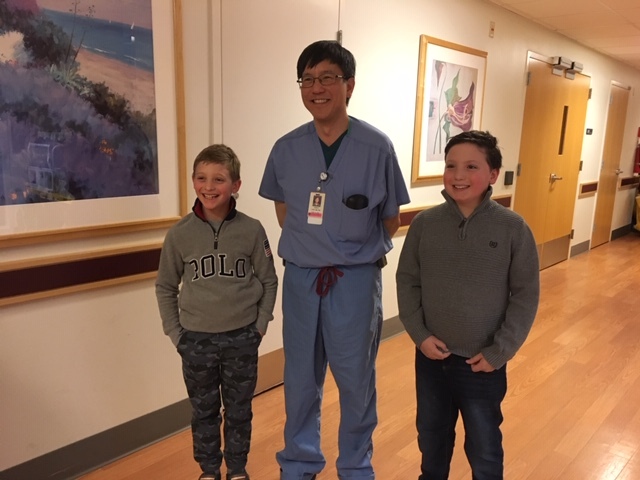 Michael believes that the Foundation can be an advocate for premature infants, assuring that their voices are heard and their needs are met in a developmentally supportive way. 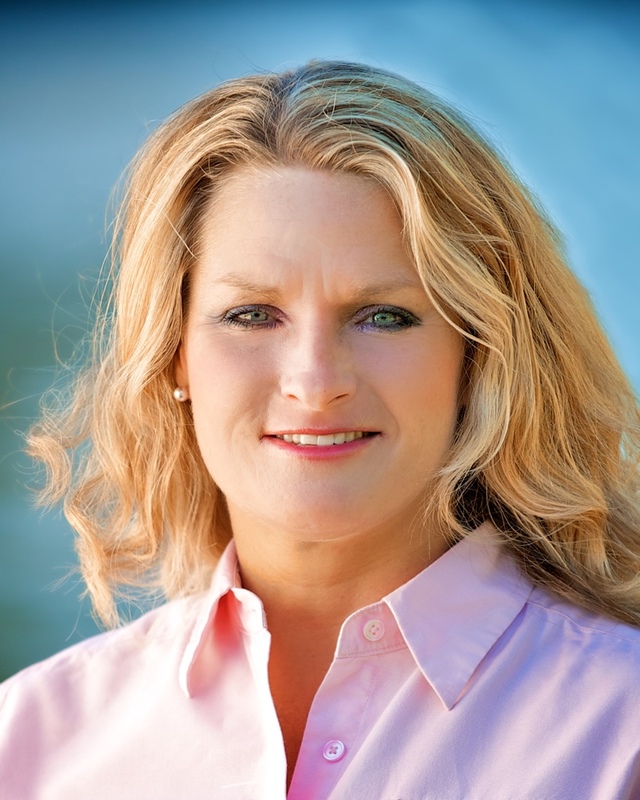 AnnMarie has had extensive professional and personal experience with the healthcare system. As a burn survivor, her journey from small child to adult set the course for her professional aspiration to become a nurse. 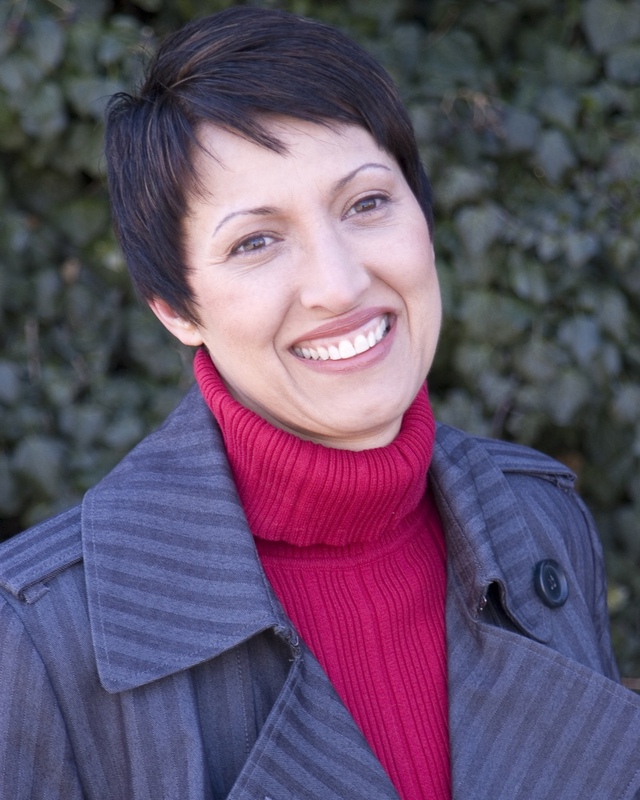 AnnMarie has had extensive professional and personal experience with the healthcare system. As a burn survivor, her journey from small child to adult set the course for her professional aspiration to become a nurse with the goal of helping empower healthcare consumers in their time of great need, as well as assisting clinicians to understand the great opportunity and responsibility to provide superior quality care. As a newly licensed Registered Nurse, AnnMarie knew she wanted to be with premature babies. She spent 16 years in the Neonatal Intensive Care specialty where she discovered her love for the fragile, vulnerable babies and their families. She likes to tell others that she “grew up” in the unit. There is so much to learn about life in an environment that deals with the fragility of life involving the babies, families, and caregivers. 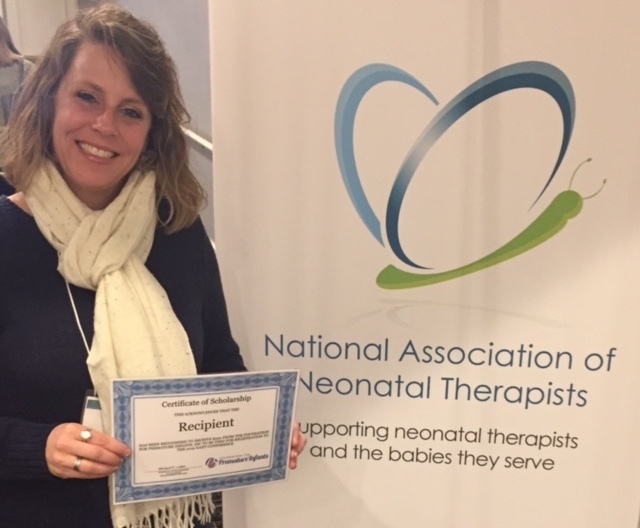 She deepened her dedication to this population by attaining Newborn Individualized Developmental Care and Assessment Program (NIDCAP) certification to allow her to support the development of premature babies and to communicate those needs to practitioners and families. 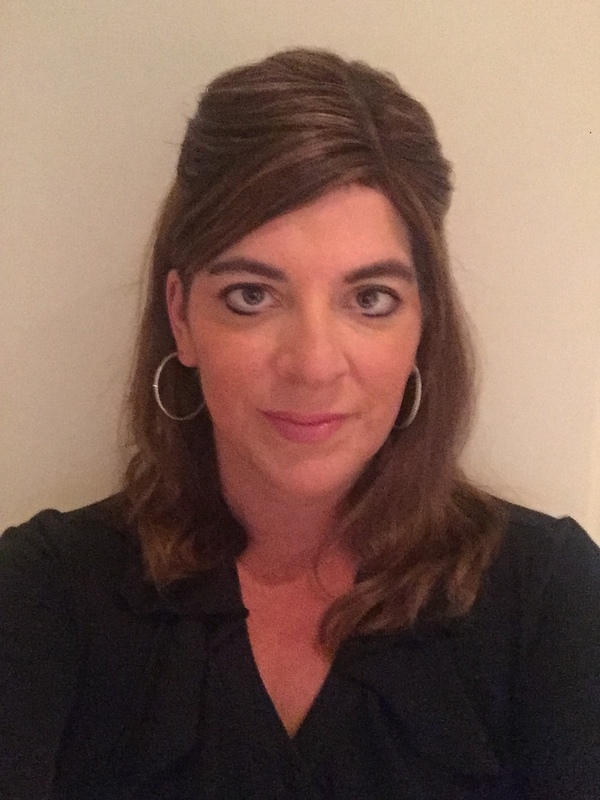 AnnMarie utilized her nursing experience within a global healthcare company where she continued to represent the needs of the neonatal population through specialized product and quality improvement offerings. With over 25 years of experience in the healthcare industry, she continues to raise the bar for herself through the pursuit of higher education, as well as advocating for the needs and rights of all people. Laura Cordell is an Occupational Therapist, graduating from the Medical College of Georgia (MCG) with a Master’s Degree in Health Services Administration. She has over 20 years of experience working with patients in hospital, home, and outpatient settings. Laura Cordell is an Occupational Therapist, with a Master’s Degree in Health Services Administration. She has over 20 years of experience working with patients in hospital, home, and outpatient settings. 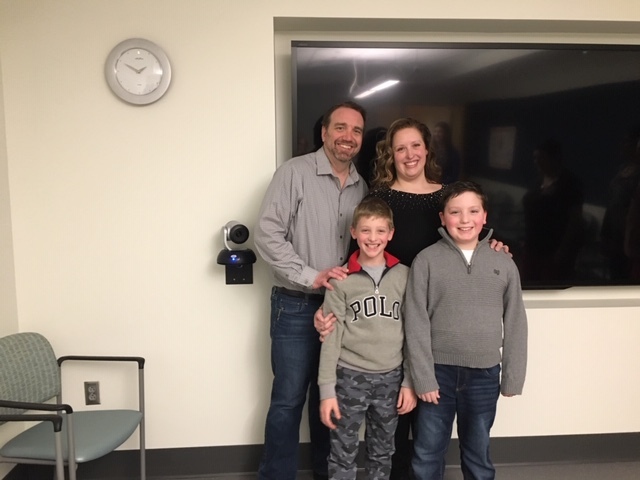 She began her career at Saint Joseph’s Hospital (SJHA) in 1988 where she treated critically ill, neurological, orthopedic, oncological, renal, and transplant recipients. In 1990, she received SJHA’s highest employee recognition, the Mother McCauley Award for providing outstanding delivery of care. She functioned also as Clinical Faculty to Occupational Therapy schools including Brenau University and Medical College of Georgia. She continued to work in the Northside Hospital system and is currently employed with Sundance Rehabilitation. Her love for the neonate deepened with the birth of her three daughters. 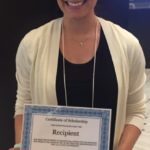 Since 2000, she has immersed herself in clinical education, specializing in oral motor assessment and intervention, breastfeeding, sensory integration, and normal/abnormal development. Her career has focused on working with the geriatric population, but she knows she will one day put her training into practice and fulfill her dream of working with premature infants. She loves her patients and has become keenly aware that we are all part of the circle of life. Laura believes the fundamentals of the Premature Infant Bill of Rights apply to senior adult patients as well. BPD – Bronchopulmonary Dysplasia sometimes called chronic lung disease. A child is not born with BPD. It is something that develops as a consequence of prematurity and progressive lung inflammation. 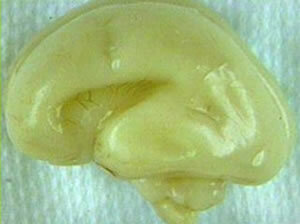 IVH – Intraventricular Hemorrhage is a bleeding of the brain’s ventricular system. This type of hemorrhage is particularly common in infants, specially premature infants or those of very low birth weight (VLBW). ROP – Retinopathy of Prematurity is a disease of the eye that affects prematurely born babies. All preterm babies are at risk for ROP, and very low birth weight (VLBW) is an additional risk factor. ROP can lead to blindness. 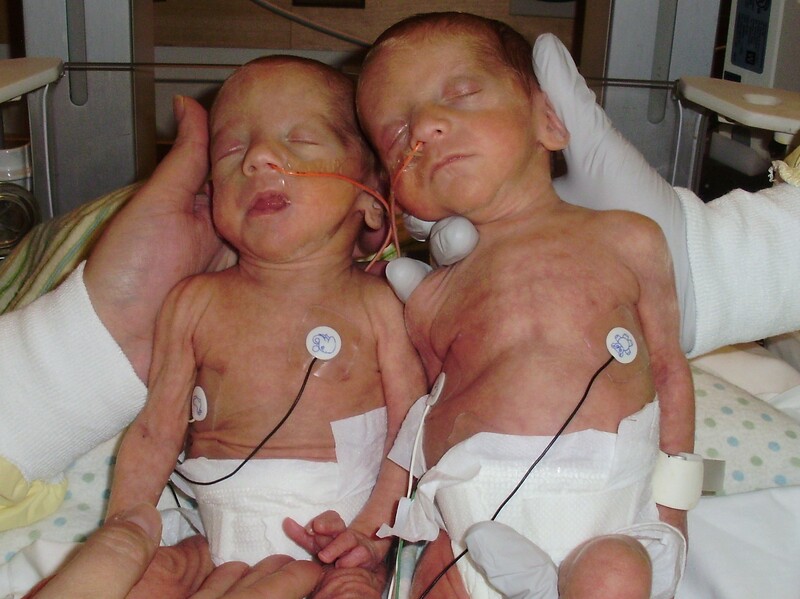 There was a 6% increase in babies born prematurely in the USA from 1998 – 2008. I have a right to expect that my caregivers’ practices reflect evidence-based best practice. 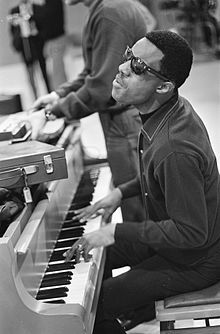 I have the right to be considered an active participant in my life capable of feeling and responding in all situations. I will be cared for in a developmentally supportive way and a measurement tool will be used to ensure consistency of my care. I have the right to an environment that protects my vision and hearing by maintaining sound and light levels within recommended levels. I will drive my feeding schedule not doctors or nurses and a feeding readiness scale will be used to ensure that I am in control. My family can visit me at any time. My family can participate in all activities that involve me. I can enjoy kangaroo care any time my family wants, emergency situations being the obvious exception. My care will be standardized across all shifts by all clinical staff that interacts with me. My care will be clustered so that my precious sleep cycles are minimally disturbed. I have the right to know a pain scale will be used to minimize causing me pain. I have the right to be discharged home as soon as medically appropriate and not be kept in the Neonatal Intensive Care Unit one day longer because it may be financially beneficial to the hospital. 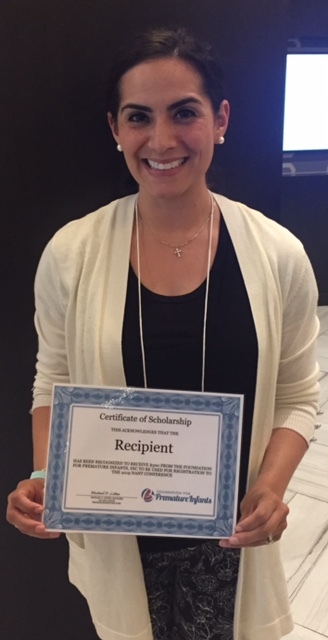 Phoenix, AZ, – April 13th, 2019 – Today, at the 2019 National Association of Neonatal Therapists (NANT) confer- ence, Lisa Bader, Founder of the Shape Right System, and Foundation for Premature Infants board member awarded five $500 scholarships to the 2020 NANT conference. 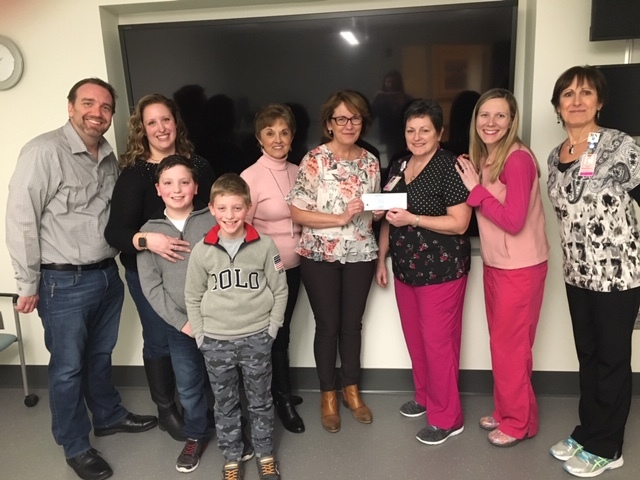 Boston, MA, – Feburary 26th, 2019 – Mary Coughlin, Foundation for Premature Infants board member, presented a $2,000 donation to the Mass General Hospital NICU in honor of Alex and Andrew Fernald. 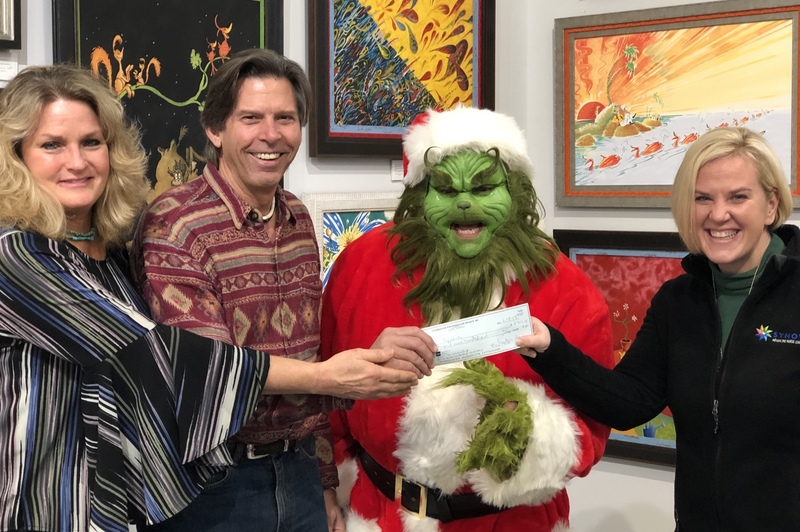 Roswell, GA, – January 19th, 2019 – At the grand opening of the new Ann Jackson Gallery location, Michael D. Litten, Founder of the Foundation for Premature Infants and fellow board member, Laura Cordell, presented a donation to Lori Gunther, Owner of Synova Associates. 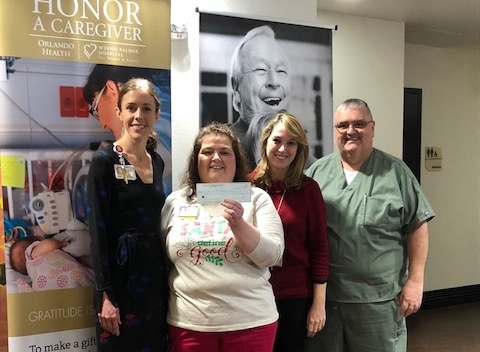 Orlando, FL – On behalf of Orlando Health – Arnold Palmer Hospital for Children, thank you to the Foundation for Premature Infants for the grant award of $1,000 to support Neonatal Intensive Care Unit (NICU) clinical education at Winnie Palmer Hospital. 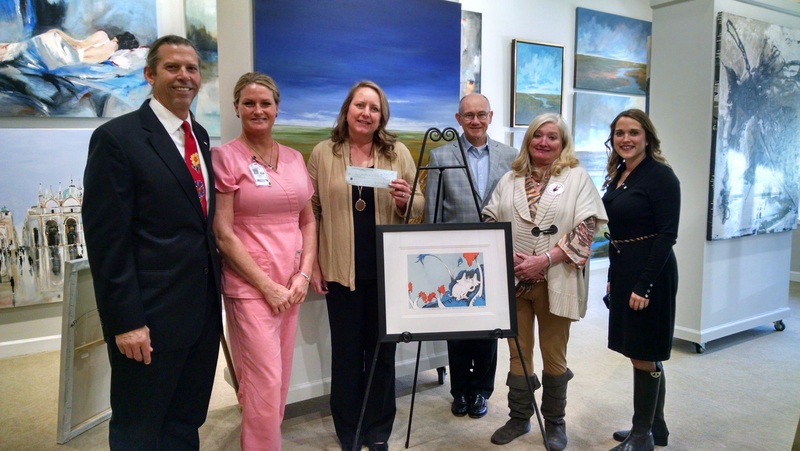 Roswell, GA – At the new Ann Jackson Gallery location, Valerie Jackson and Michael D. Litten, Founder of the Foundation for Premature Infants, presented a donation to Northside Hospital’s NICU. San Luis Obispo, CA – Thank you for the $500 donation…we will place this in our funds for women’s and children’s education scholarship fund. Roswell, GA – We are truly blessed to have Lisa Chiburis Bader join the board and when you read her bio we think you will agree. 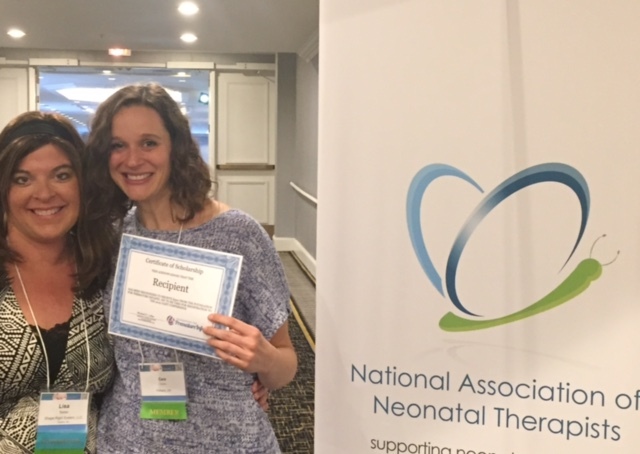 Roswell, GA – Lisa Chiburis Bader in her first “official” role as a new board member presented a $500 scholarship to attend the 2019 https://neonataltherapists.com conference to the CHI Health CUMC-Bergan Mercy Medical Center. 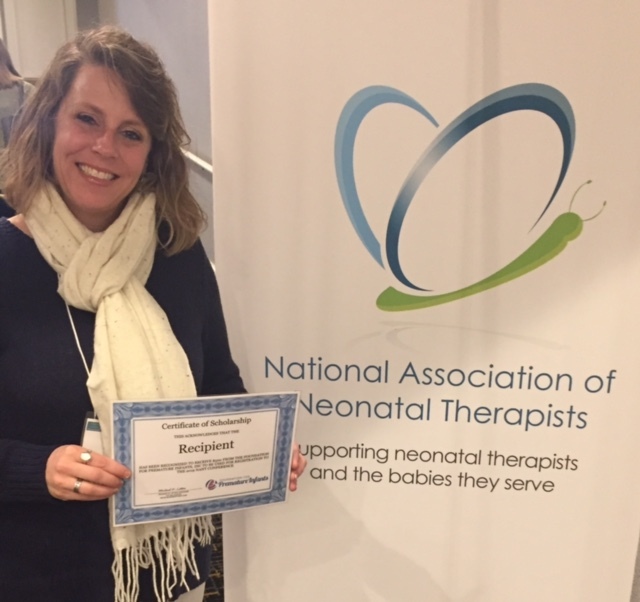 Charlotte, NC, – April 14th, 2018 – Today, at the 2018 National Association of Neonatal Therapists (NANT) confer- ence, Lisa Bader, Founder of the Shape Right System, on behalf of the Foundation for Premature Infants awarded four $500 scholarships to the 2019 NANT conference. 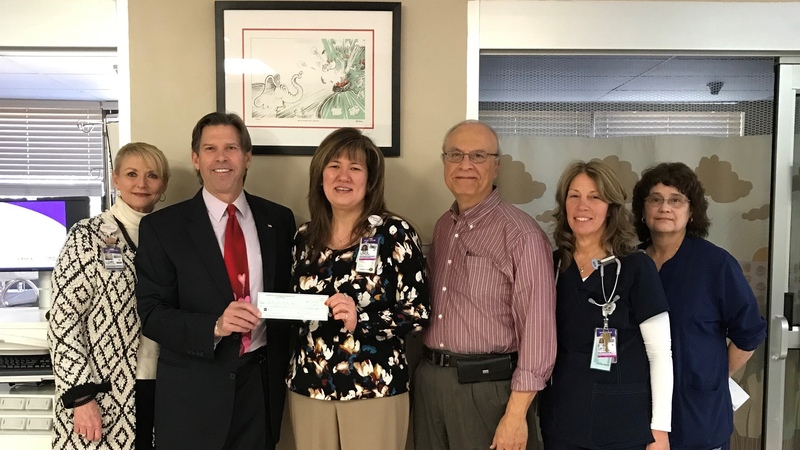 Today, at WellStar North Fulton Hospital Michael D. Litten, Founder of the Foundation for Premature Infants, presented a donation to the WellStar North Fulton Hospital Neonatal Intensive Care Unit (NICU). 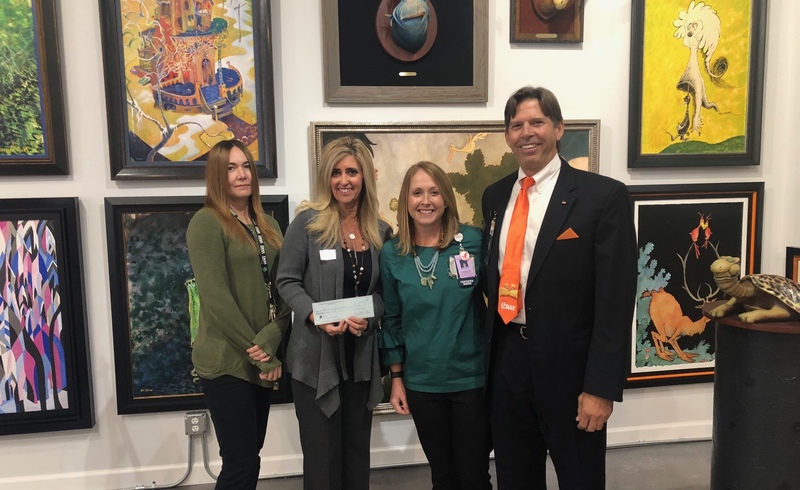 Today, at the Ann Jackson Gallery, Valerie Jackson and Michael D. Litten, Founder of the Foundation for Premature Infants, presented a donation to the WellStar Foundation in support of the WellStar North Fulton Hospital Neonatal Intensive Care Unit (NICU). 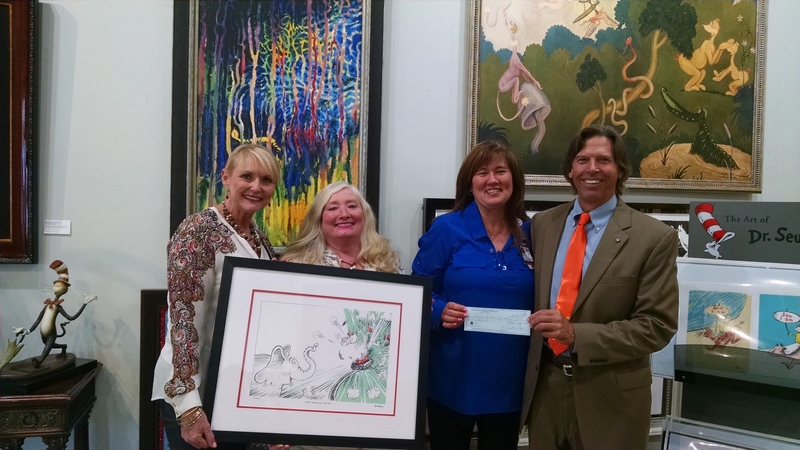 The Foundation for Premature Infants partnering with Valerie Jackson of the Ann Jackson Gallery just donated a limited edition lithograph from one of Dr. Seuss’ iconic books along with a $500 donation to the Children’s Healthcare of Atlanta. Use the form below to make a monetary donation or use the Amazon button to make your usual purchases through Amazon Smile. A portion of your order will go to support the Foundation for Premature Infants. 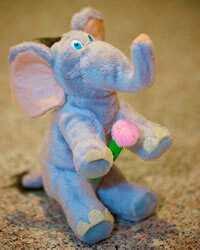 The first 50 donations over $100 will receive a Horton stuffed animal generously donated by Dr. Seuss Enterprises, L.P. The Foundation for Premature Infants, Inc.